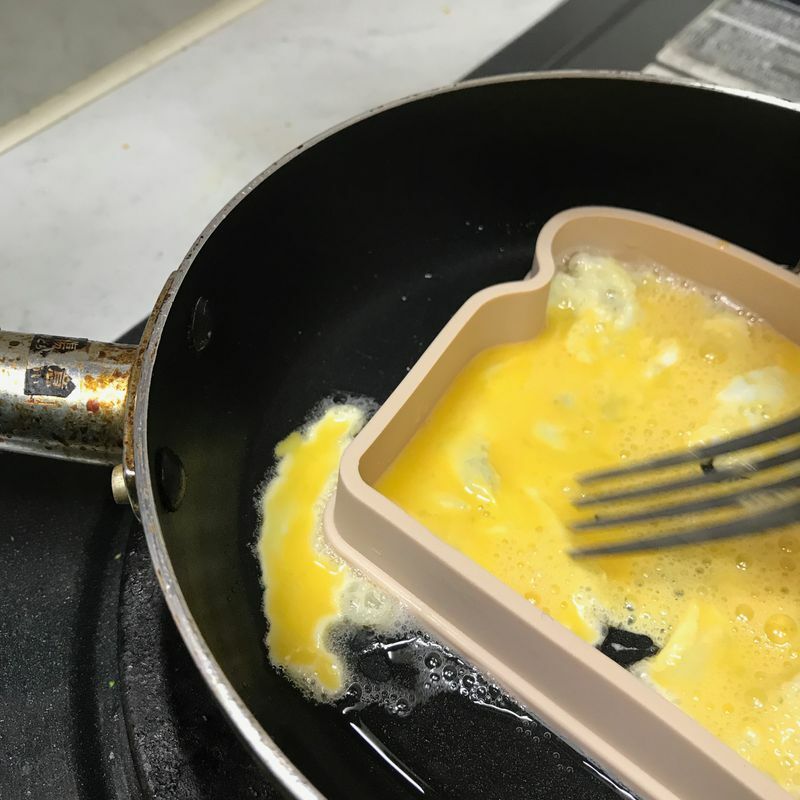 100 yen egg shaper... Worth it? I love going to the 100 yen store and browsing the aisles. 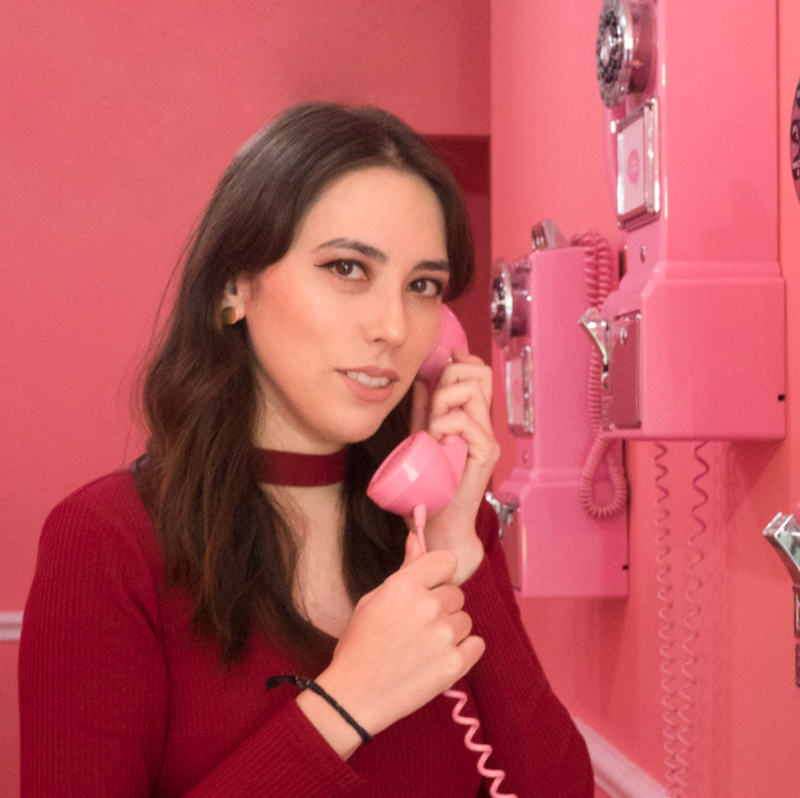 When I don't have a purpose for going, I often stumble upon some of the stranger and more unique products that line the shelves. 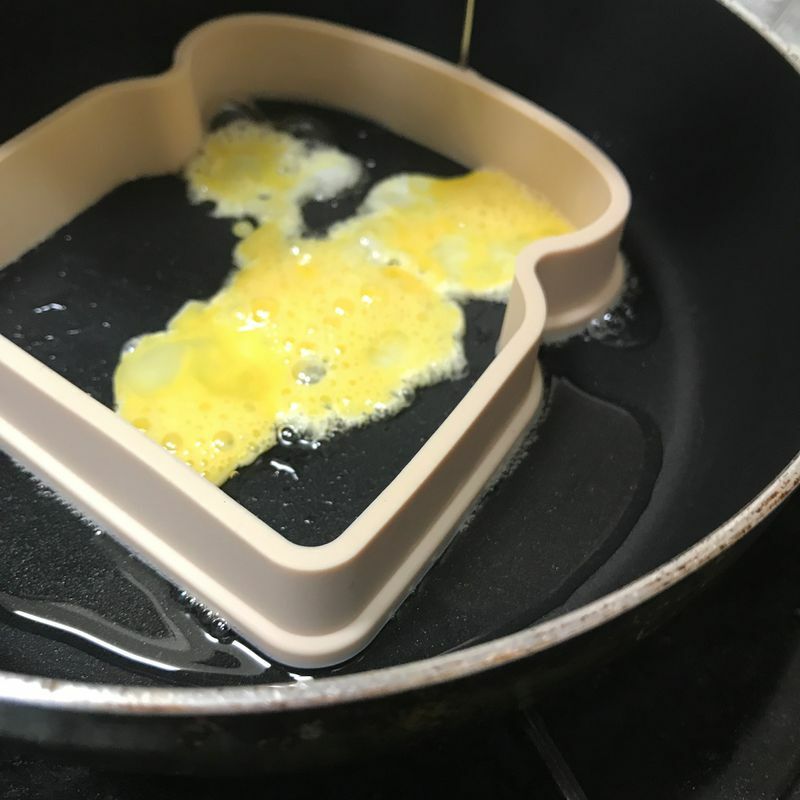 The most recent novelty I bought is a fried egg shaper. 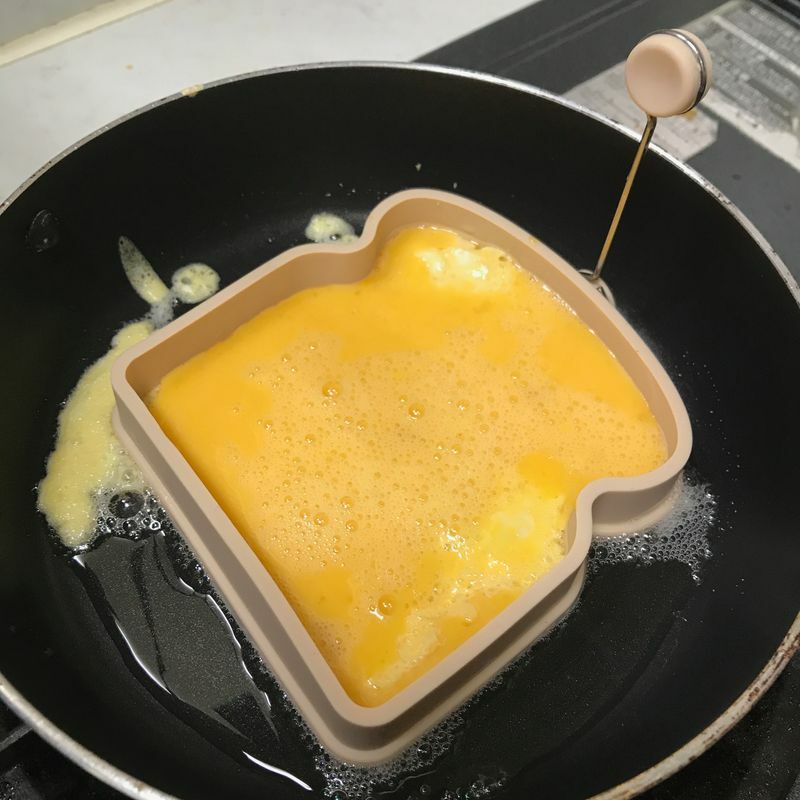 For those of you who want a perfect egg-to-bread ratio with every bite, this product could interest you. 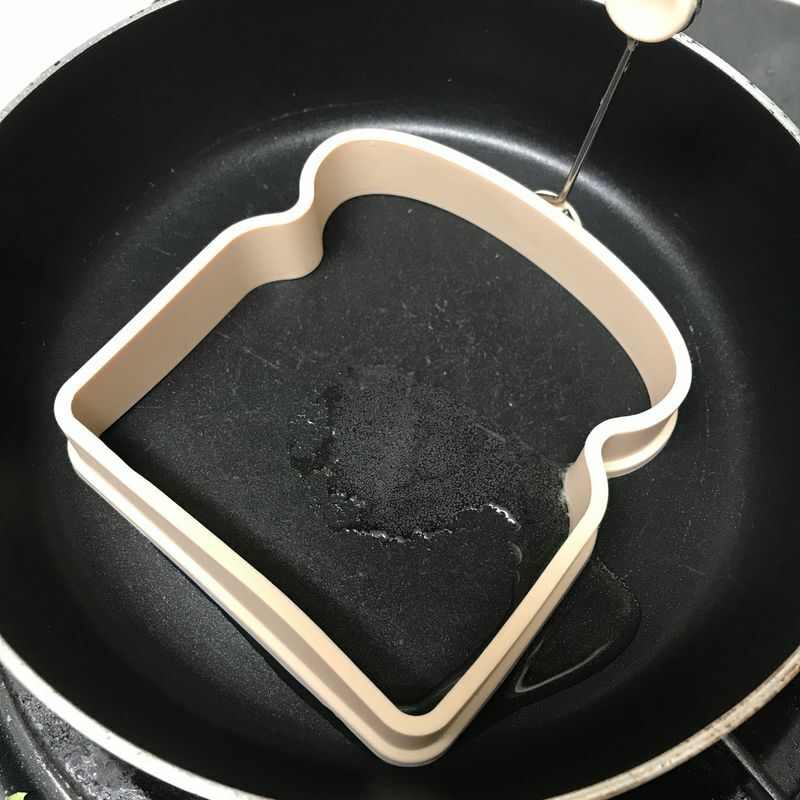 Made of silicone, it's a flexible toast-shaped mold with a weird antenna sticking out. It's meant to be used directly on a hot frying pan. Here it is on a frying pan with some hot oil. All seems to be good so far, and the silicone doesn't melt at these temperatures. 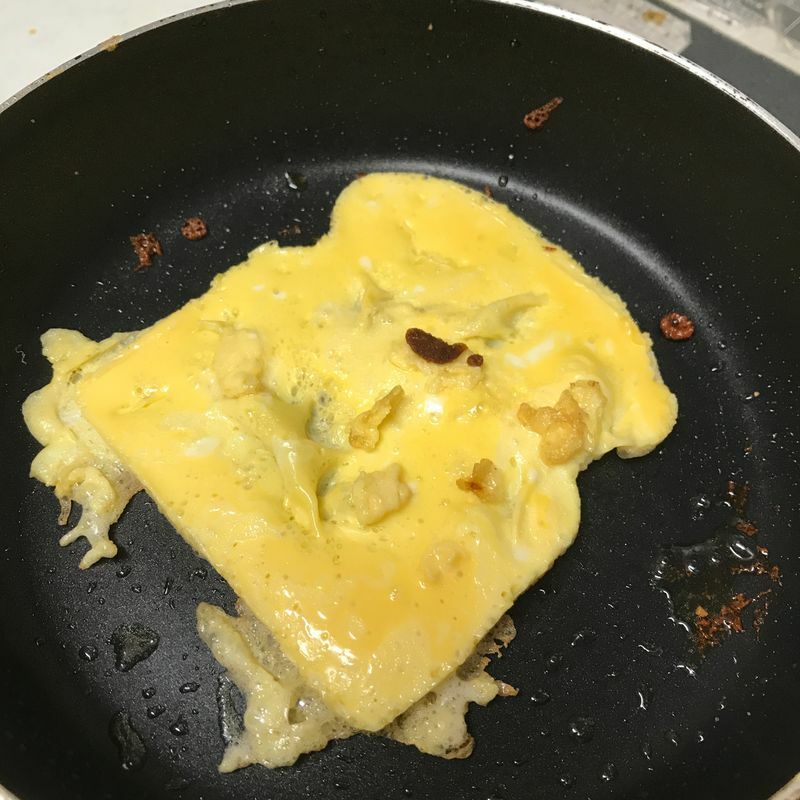 I originally tried to crack a single egg into the mold, but it didn't work out very well. 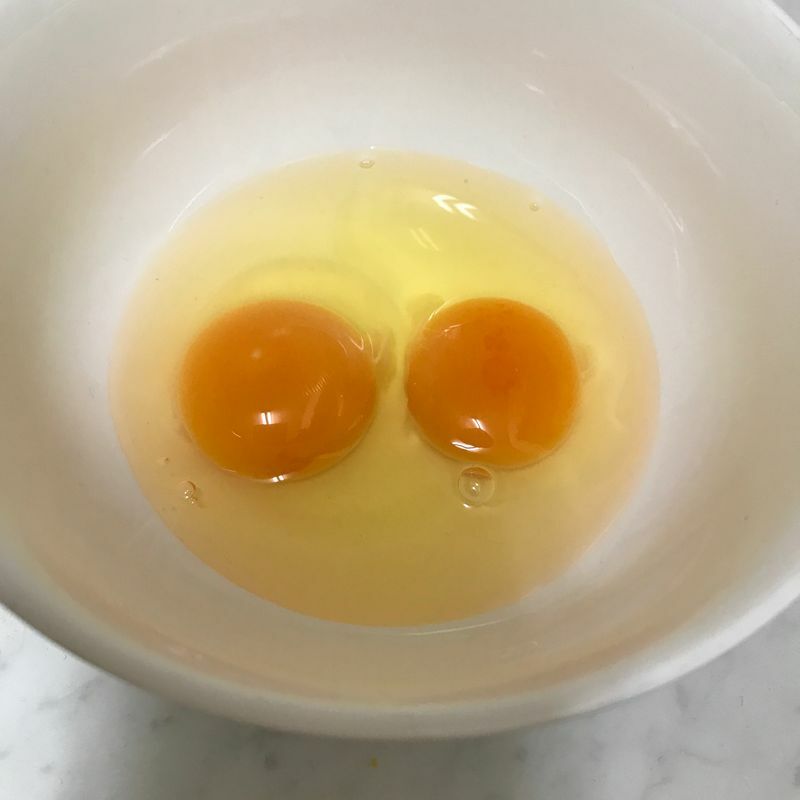 They leaked from under the mold and I had a regular fried egg. I took a different approach this time and tried scrambling the eggs and pouring them in like that. Learning from my previous mistake, I slowly cooked a thin layer of egg, spreading it around the borders of the mold, as to not let allow the rest of the eggs to leak out. But, I was too excited and worked too fast. I poured too much egg and it leaked out again. On the bright side, it was only in that little spot this time! My strategy seemed to work. ...That is, until I flipped it. I don't know what exactly happened, but more egg leaked out after I removed the mold. But, you can still see the toast-shape, so I was pretty pleased with myself. 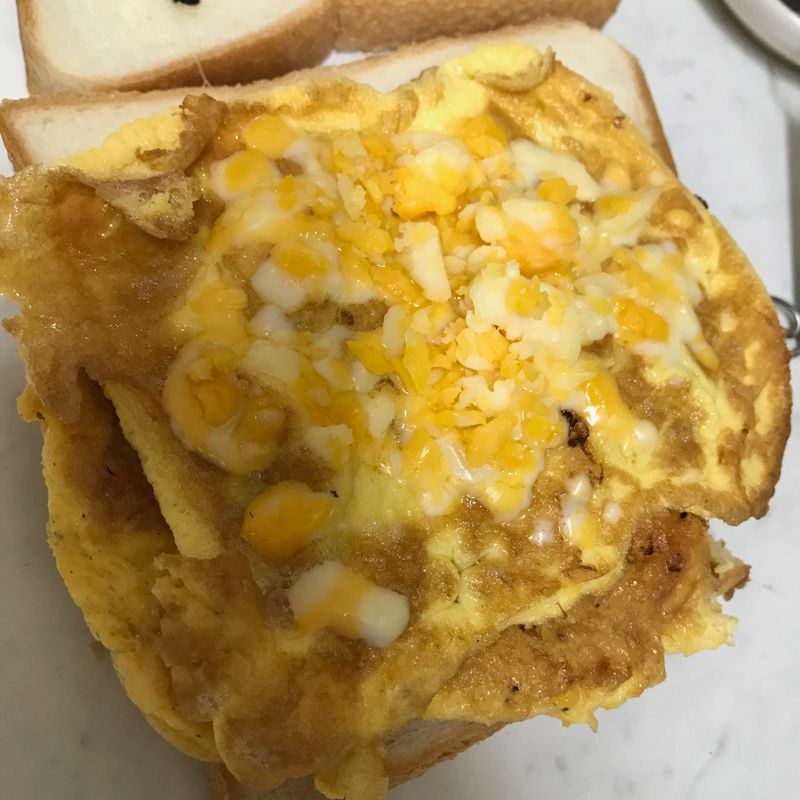 Here's the finished product, with some cheese on top. Unfortunately, I don't think it looked much like a toast at the end. Not to mention, Japanese bread is more square-shaped than Western loaves. So, it's not much like it would've fit perfectly anyway. I don't think the payoff (even if you did do it properly, unlike me) was worth the effort or even the cost of buying the shaper. If you're good with a spatula and a bit patient, you can probably get better results than with this specialized tool.